Can't find your Door County dream home? Build it! This lot has a great location in a beautiful neighborhood close to parks, sand beach, tennis courts, and a play ground. It has city water/sewer/gas and underground electric/cable/phone. It's also close to Potawatomi state park and minutes to down town Sturgeon Bay. 42/57 to north on Duluth, west on Maple, north on Ashland, lot on left. 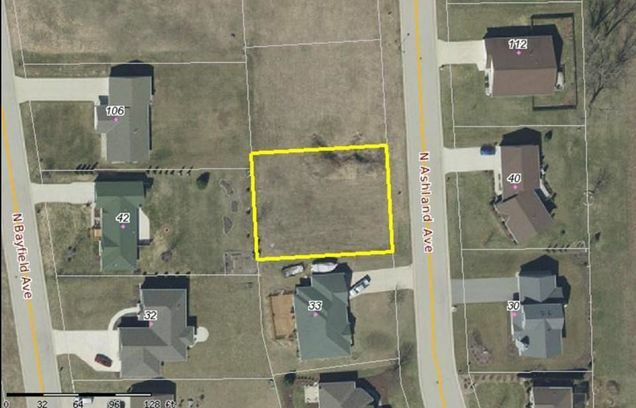 The details on ASHLAND AVENUE: This land located in Sturgeon Bay, WI 54235 is currently for sale for $29,900. ASHLAND AVENUE is a – square foot land with – beds and – baths that has been on Estately for 198 days. This land is in the attendance area of Southern Door Middle School, Southern Door Elementary School, and Southern Door High School. Listing Courtesy of: WIREX_RANW and Keller Williams Green Bay.